Abu Dhabi – January 09, 2019 - Finance House Securities (FHS) was awarded the highest rating in Service Excellence for the year 2018 from the Dubai Service Excellence Scheme (DSES) by the Department of Economic Development in Dubai. The Dubai Service Excellence Scheme (DSES) rating, which was initiated in 2002, aims at promoting excellence in customer service standards in the private sector to improve customers’ confidence and enhance their experience. The program measures several aspects of service quality, including; online presence, services at branches or outlets, call centre support and customer service representatives. Commenting on the end year rating score results, Ayman Al Khatib, General Manager of FHS, said: ”We are proud to receive such high acclamations from Department of Economic Development in Dubai. We have continuously exerted our efforts to the maximum in order to ensure that our Customer Service meets the standards of DSES. 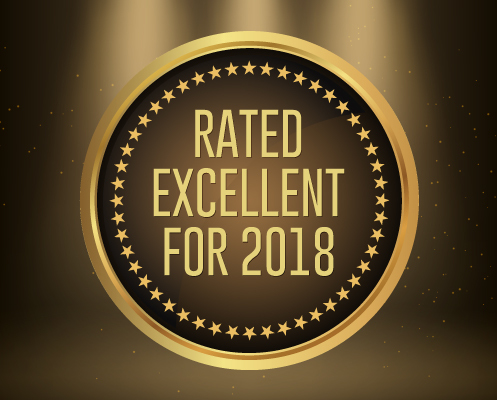 The excellent rating, which we have received, is evidence that our efforts have borne fruit that is why we are always keen on ensuring that our customers enjoy excellent customer service at our branches”. Since its inception, FHS has positioned itself as a leader in maximizing customer satisfaction by offering conveniently tailored services that are accessible to our customers through its online portal and skilled customer service staff. “Our vision is one that not only seeks to surpass market expectations, but attempts to lay down the groundwork for enhanced, more secured and optimized brokerage services. We are optimistic about the future and are looking forward to achieve great things during the year 2019,” concluded, Ayman Al Khatib.